A printable version of the newsletter is available here, along with the October and November calendars. “L’Shanah Tovah!” These are the words you may hear from your Jewish friends this week, since the start of Rosh HaShanah, or the Jewish New Year, occurred on October 5. Thus begins the High Holy Days between now and Yom Kippur, or “Day of Atonement,” on Tuesday, October 11. Other symbols of Rosh HaShanah include the shofar, an instrument generally created from a ram’s horn, which is blown one hundred times in the first two days of the celebration, reminding the people to meditate on God’s blessings. When I lived in New York as a professional singer, in addition to my work at various churches, I also sang at a synagogue. Our quartet of singers was especially busy during these holy days, particularly on Yom Kippur, a day of fasting and prayer and chant. 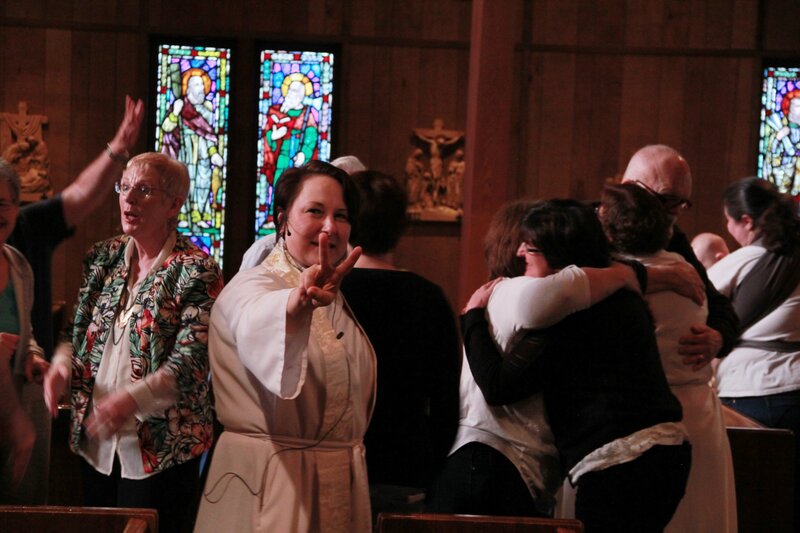 remember well the cantor – a woman, a mezzo-soprano who had been an opera singer before going to seminary – and how she sang so much and so beautifully, even though she herself was fasting that day. Her leadership and beautiful spirit is woven into my own discernment story. The waters have been moving very swiftly for us all here during my first nine months as your Rector! During that time, we have experienced many successes, and we are still facing some challenges. I know I myself have made some mistakes, and may have done or said things that may have hurt or upset some of you, for which I am truly sorrowful. If you harbor any feelings like this, I humbly ask that you come directly to me, so that we can talk together and become reconciled. Please, do not talk to others about me, but come and talk with me. “Parking lot meetings” do nothing to build up our Church, and can instead erode and undermine the good work we are all striving so hard to do together. May the coming year bring great blessings and loving relationships to everyone in our church family. Fall is a great time for running races! Alas, with my knee injury, I’ll have to sit this season out in terms of 5Ks, relays and half marathons. However, there is still one finish line I plan to cross by December 31st, with all of you on my team: Our Budget Stretch goal! In addition to meeting our budget goals for pledges and expenses, at the start of 2016, your vestry approved a stretch goal, in order for us to reach beyond our modest level of giving, toward expansive ministries and service. That goal, as you recall, was and is $17,000. During these past several months, we’ve re-stated this goal in small, measurable objectives: simple, weekly giving, monthly additions to your pledge payments, etc. As the weather begins to grow colder, and the end of the year comes into view, we’ve looked ahead with rigor and imagination. Here are the events we’ve planned to help us successfully reach the finish line. Ready? Steady? GO! On November 20 – Christ the King, the final Sunday before Advent – you are cordially invited to join Mother Geraldine, David Horton, Mrs. Cropley, and the whole gang from “St. 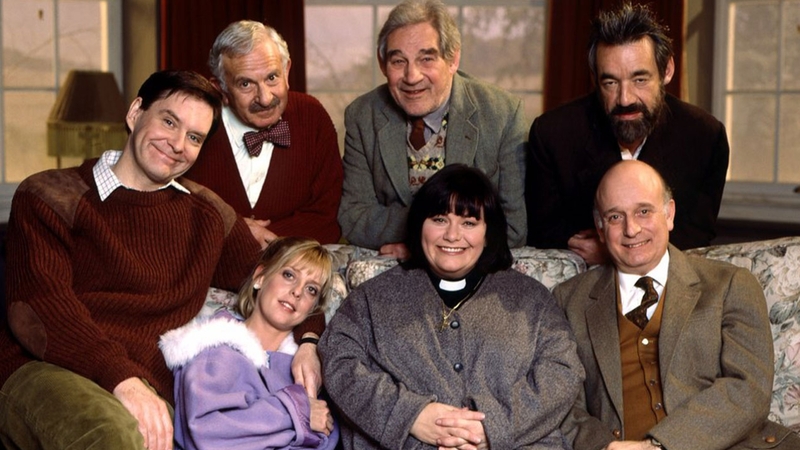 Barnabus” in the fictional village of Dibley. Let’s gather in the Parish Hall at “tea time” (4 p.m.) We will serve tea, sherry, and sandwiches and have a Mrs. Cropley Cookoff, with the winning entry being the most unusual AND edible! Feel welcome to dress as your favorite character while we enjoy some favorite episodes from this hilarious British comedy from the 1980’s starring Dawn French. Invite friends, family, and neighbors. At a suggested donation of $35, if 100 people attend, we will come $3,500 closer to our goal. Finally, to reach the final $12,500 toward the finish line, there are several ways to go: 100 people can give $125 each; or 50 people can give $250, or several generous souls can take several thousand off their tax returns. It’s up to you! But every member of our team is needed. Let us “run with perseverance the race that is set before us”, for Christ’s glory and the service of God’s beloved people. Two weeks ago, Dallas Shannon, our Outreach Director, put out the sign-up chart for volunteers to prepare an evening meal for the HOME (Homeless Outreach Mobilization Effort) Shelter at Kent Lutheran Church in Kent. October is “our” month as a parish. We still have the following days open for dinner hosts: October 9, 10, 13, 16, 17, 22, 30 and 31. 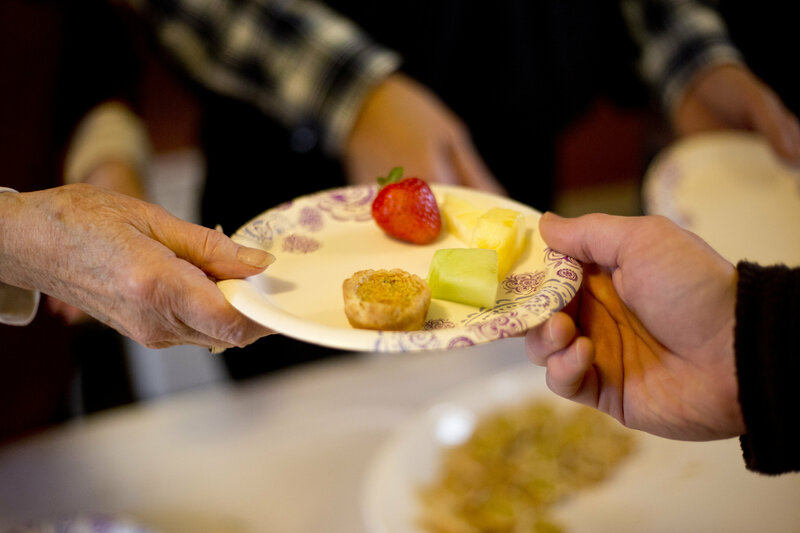 This is a single, two-hour time commitment between the hours of 8 and 10 p.m. for a family or group to set up and prepare dinner for approximately twenty homeless men (all of whom have been pre-screened by Catholic Community Services). 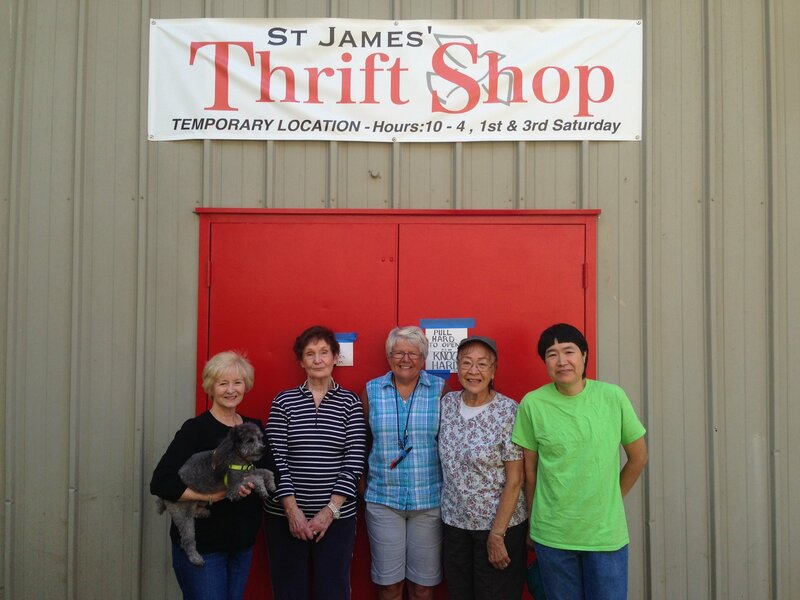 This ministry began in 1997, with St. James Parish as some of its original volunteers. Let’s keep the tradition going! To volunteer, either call or email Shannon Jergenson in the office (if you can give her an idea of what you plan to prepare for dinner, that’s great!) or sign up on Sunday. We are also still looking for volunteers to help prepare and serve the Men’s Supper at Kent Lutheran Church. It is a wonderful opportunity to share your time and talents with our community. The men, many that are working, appreciate the support. Sign up as a family, or group. If you cannot attend but would like to cook a meal, please let us know at dshannon@stjameskent.org. It’s time again for a fall care package to young adults. For those of you new to St. James, this ministry provides a link to our young adults who graduated high school through age 21, whether they are in school, active military, or searching for their next steps. We send out mailings three times a year to them. It is a challenging time with lots of changes, so please keep them in your prayers, and if you can bring something to go into the care package or write a check to help pay for shipping, that would be awesome! We appreciate your support of this ministry. If you have any questions, please see Norm Harris or Denise Brumbaugh. If we have missed someone, please let us know. Please no snacks with liquids (applesauce, fruit cups, etc.). Things are growing around St. James! Ministries, souls, and PUMPKINS! You are invited to help us guess the weight of each of our prize-winning pumpkins, grown with care by our Outreach staff and Gardening Intern, Rachel Schindler. Kindly place your guess form, along with a minimum $10 donation for each guess (there are TWO pumpkins!) in the basket next to the pumpkins. On Sunday, October 23, we will gather following the 10:30 service to weigh the pumpkins and announce the winners! 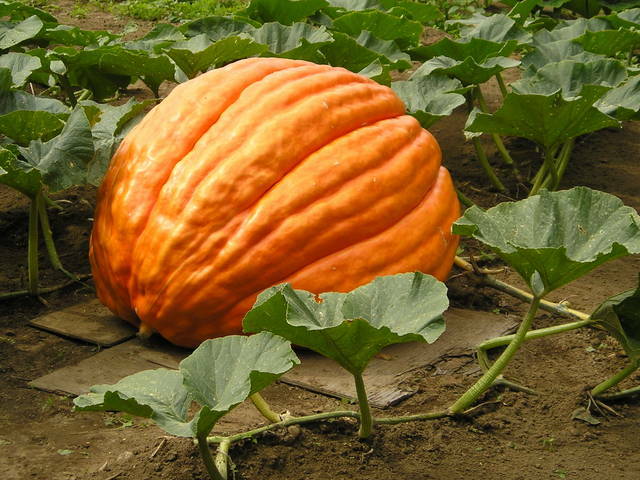 The winning guessers will receive the beautiful squashes to help them celebrate the Harvest Season. And all of St. James will benefit from the funds raised toward our Stretch Goal! If you have questions, please contact Shannon in the office at sjergenson@stjameskent.org. Happy guessing! St James Thrift Shop presented Gaylynn Ho with a certificate of recognition at the September 25th quarterly meeting in recognition of her exceptional volunteer work at St James Thrift Shop. Not only does Gaylynn volunteer many weekdays, she also works every Saturday during our sales. Gaylynn moves quickly about the shop, pricing and stocking merchandise and providing outstanding customer service. Our thrift shop couldn’t succeed without the support of volunteers like Gaylynn. Thanks, Gaylynn, for your dedication and outstanding work at St James Thrift Shop! 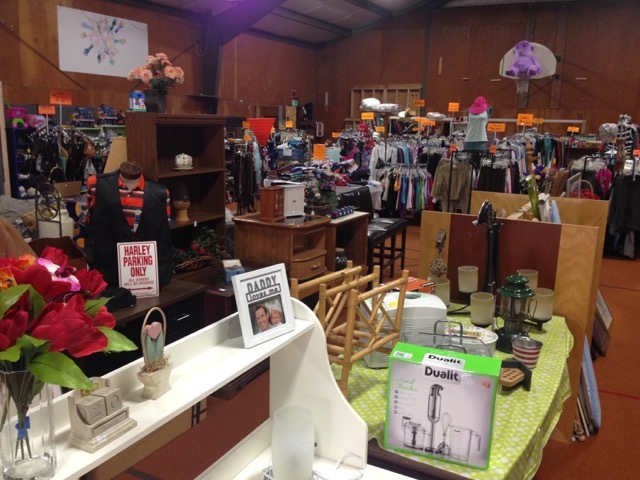 The Thrift Shop is open every Saturday from 10 a.m.–4 p.m. Please note: Due to recall and liability issues we cannot accept baby strollers and baby furniture. Also, please no tube type televisions. More drivers are needed for the Driving Ministry when ride assistance is requested by people who no longer drive. Please contact Tovi Harris at harris4003@hotmail.com if you are interested in volunteering.